Joan Sowards lives in Arizona with her husband and very eligible RM sons. Her life revolves around their five children and three grandchildren. Besides writing fiction, she is a family history addict, composes a song each year based on the assigned YW scripture, and writes an annual Christmas song. 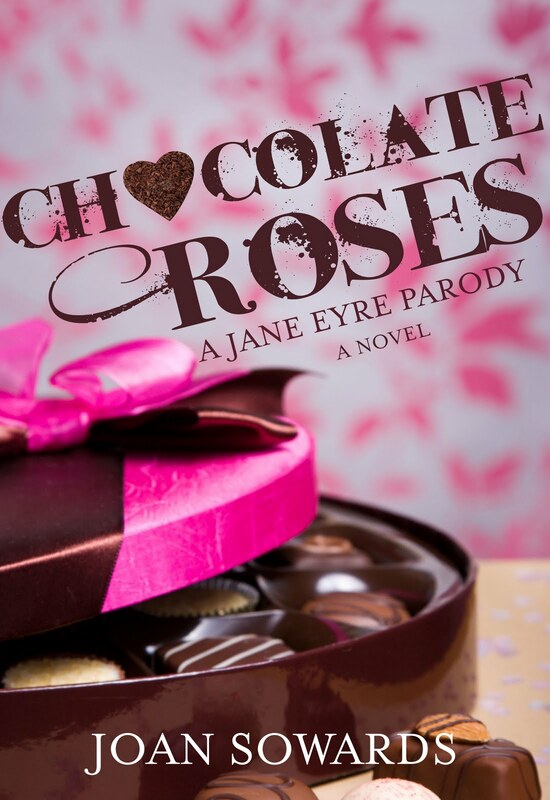 Read her novels: Haunts Haven—and LDS ghost story, and Chocolate Roses—a Jane Eyre parody, available at LDS bookstores and Amazon.com, The Star Prophecy, A Book of Mormon Adventure. Joan: When in grade school, I began a Nancy Drew wannabe novel that went nowhere. Now I know it was because I had no understanding about plot. I gave up writing then and wish now I had kept the story. I made up tales for my children, but it wasn't until my mid thirties that I started another novel and discovered again that I love writing. It's never too late, they say. Joan: Beside that I have written a lot of lyrics and took English in college (BS from ASU), I can't claim any great background. My mother and father wrote, my brothers and sisters all write, so maybe I come by the gift-of-tale naturally. Joan: I love plotting, sub-plotting, and developing characters. Joan: I've received a lot of rejection letters. ANWA (American Night Writers) has helped me a lot, and I've tried to learn all I could about the craft, and took it seriously. The Star Prophecy was the first manuscript I sent Walnut Springs Press, but when editor Linda said they wanted to publish an LDS romance, I immediately sent Haunts Haven. I believe I was in the right place at the right time. My first published book was LDS Word Puzzles (Spring Creek Books). Joan: Oh, yes. I started wondering if I had what it took to be a published author. I'm challenged when it comes to metaphors and descriptions, and blamed it on that. A little voice in my head kept reassuring me that my novels were worth publishing, even if they were only a legacy for my posterity, and no one else. Joan: I write between family and everything else. I am directing our stake musical starting in January, so I need to develop a schedule and be more disciplined. Joan: Ideas come from unexpected sources. I think any decent idea is good enough if you feel strongly about it. Don't let anyone tell you your idea isn't worthy of your time. If you write it well, it will be good. May I share a story on this same idea. One of the first songs I wrote and was willing to share with the world, was Seasons of Joy (of a Woman's Life.) I took it to a male friend who was rising in the world of Church music, to see if he thought it was of merit to publish. He looked it over and played through it, then handed it back to me. "Joan, there are so many songs about womanhood. The Church really doesn't need any more." Discouraged, and believing him since he was becoming successful, I left. Later I showed it to another composer friend--a woman--and told her my experience. "Don't listen to him," she said. "The Church does have songs about womanhood, but they don't have YOUR song, and they need it. There is ALWAYS room for a new song." There is always room for another novel--YOUR novel, especially if it is well written, uplifting, and inspiring. 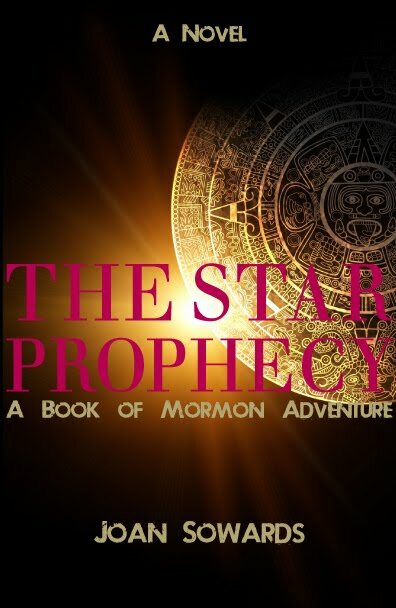 Deirdra: What is your newest book The Star Prophecy about? Joan: In a nutshell? Young Nephite men set sail to Jerusalem to find the Christ Child. Back of the book blur: Most people laugh when they hear of Enoch’s dream of returning to Jerusalem to find the infant Messiah. Even Enoch's future father-in-law mocks him when he asks for a postponement of the long-awaited wedding to his beloved Rebekah. A few take Enoch seriously—the shipbuilder Omnihah, Enoch's teacher David, and Nephi the prophet. Five years previously, a Lamanite named Samuel had stood on the wall of Zarahemla and prophesied that “five years more cometh” and the Christ would be born in Jerusalem. Time is running out! Enoch knows he must set sail across the great waters in search of his dream—to see the face of the Messiah. The Star Prophecy is a surprising story of courage and love, faith and fortitude. Sail with Enoch and friends across the sea through hardship and adventure in search of the Christ Child. Deirdra: What do you hope readers will get from The Star Prophecy ? Joan: I hope The Star Prophecy might bring readers closer to the reality of our Savior's birth, and that at Christmas we will give our hearts to Christ, instead of worldly traditions. Enoch's major goal in life was to see the face of the infant Messiah. Our goal is to live worthy to see his face when we leave this existence. The Star Prophecy, as far as Enoch's journey, is strictly fictional, but read it with an open heart. The nativity story is usually treated with awe and wonder--reverent shepherds, aged wise men solemnly walking in a line carrying gifts into a softly illuminated stable. I have tried to show it in a different way, of how the events surrounding his birth may have happened. Joan: Outlining gives me direction. It can always be adjusted later while writing. I'll often brainstorm with my husband and daughters. They are a great help. I follow my heart and keep asking "what if?" Joan: Usually with lots of prayer. Chocolate Roses had a snag. I put it away for several months while I mentally untangled it. Joan: NO MUSIC. It is too distracting. I'm plagued with songs running through my head all the time that I fight to tune out. Joan: I've found if I just let go and write of the top of my head, anything that comes to mind pertaining to the scene, and not go back and edit until the scene is finished, when I do go back, I'm amazed at how well it came together. Joan: Kerry Blair. 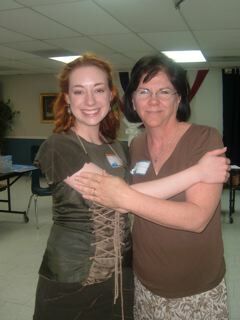 She has encouraged and taught me a lot. I know she has helped hundreds of writers, but we go way back to before she was published. Joan: Give each supporting character their own story, or subplot. Get into the head of the main characters. Joan: There are so many! Kerry Blair is a master at the English language, Richard Peck subtlety makes me smile, Marsha Ward's smooth crafting draws me into her tale. Joan: My philosophy: If I don't eat while writing, then I have to get up when my stomach rumbles, creating a little exercise while walking to the kitchen that, hopefully, keeps me from turning into a blob. Joan: Take learning the craft seriously. Submit your manuscript. Be ready. Joan: A college graduate takes a summer job for a coastal Oregon newspaper. She becomes involved in the lives of the people in the village while solving her own inner turmoils. It is an LDS genre. Joan: Amazon and LDS bookstores. Joan: When I first joined the American Night Writers Association, there was a member who told me she had written six novels and was looking for a publisher. In my naive mind I thought, "If you have six novels and none published, then you probably never will be published." A few years down the road, I found myself with six novels and unpublished. How wrong I was! It is never too late. Keep working, keep writing, keep submitting. Great interview! Deirdra, I love these interviews you're doing! I'm happy to learn about Joan!